This is a standard format of a patient complaint form which comprises of all the important segments and sub headings. The user can use the form just the way it is or make changes to personalize it. 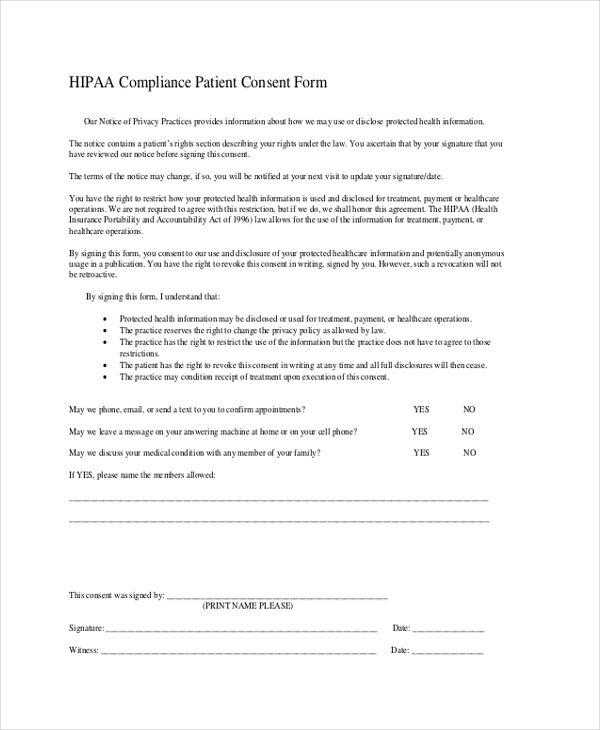 This form is used by a patient or an authority who want to maintain confidentiality about the whole thing. The form is quite similar to a complaint form except that is consists of certain confidentiality terms. 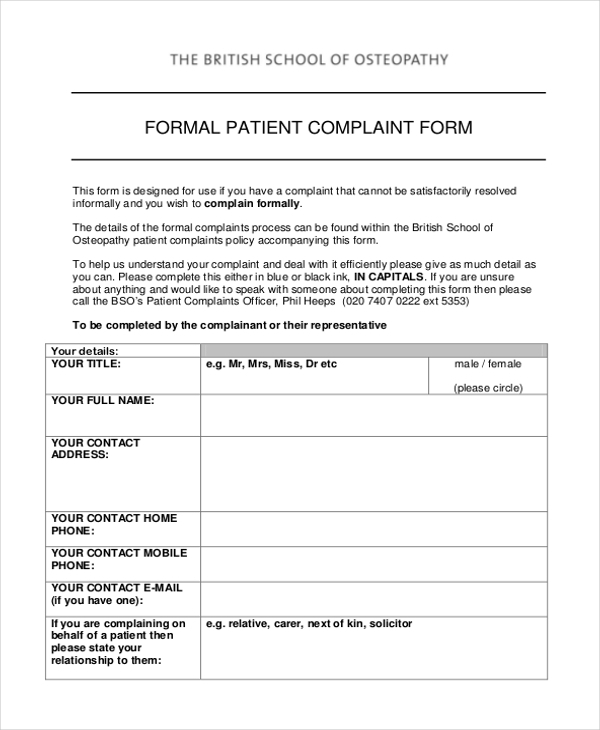 Whenever a patient wishes to complain about a doctor or a hospital to the head of the medical council or directly to the government, he uses the formal patient complaint form as this has a professional look to it. 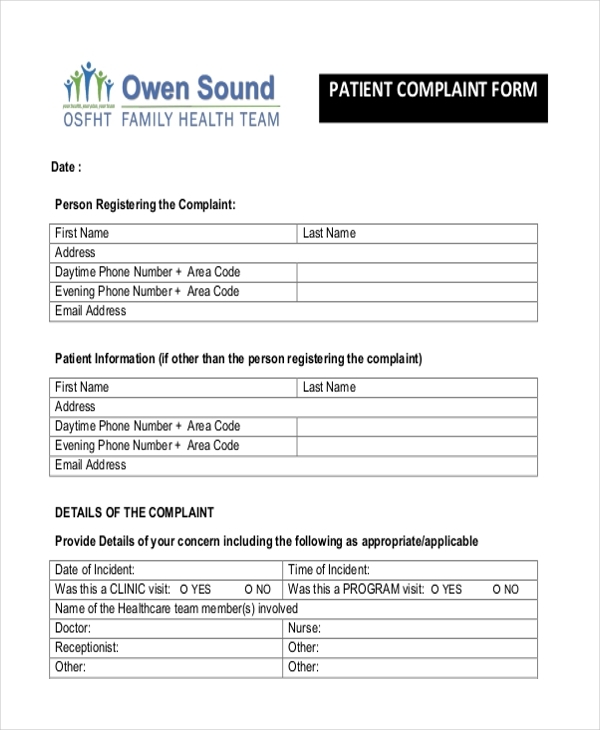 This form is used when the complainant is a person pressing a complaint on behalf of a patient. This could be anyone from the family of the patient or a person who may have supported the patient during treatment. 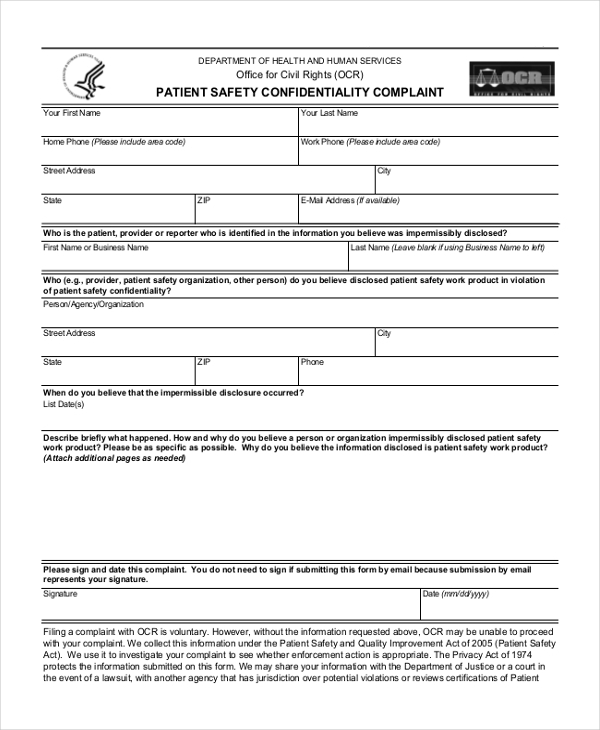 Whenever a patient wants to ensure that making a complaint would not jeopardize his safety, he uses this form to urge the party to maintain confidentiality. The form comprises of confidentiality clauses to reiterate this. 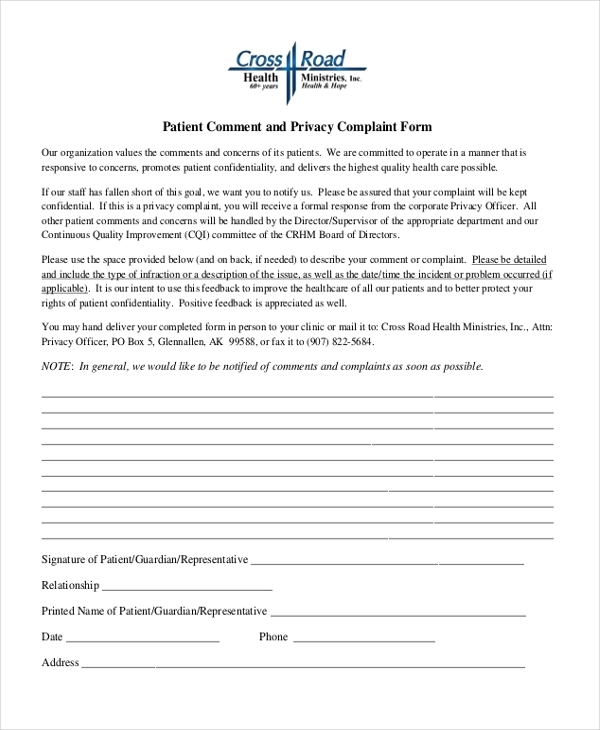 At times when a patient complains about a doctor or a hospital but does not wishes his name to be used in the discussions that may follow he uses the patient privacy complaint form. This form is used by an individual who wishes to report a complaint against the doctor, his staff or a hospital as a whole. He is required to fill in all the essential details along with the complaint in this form. 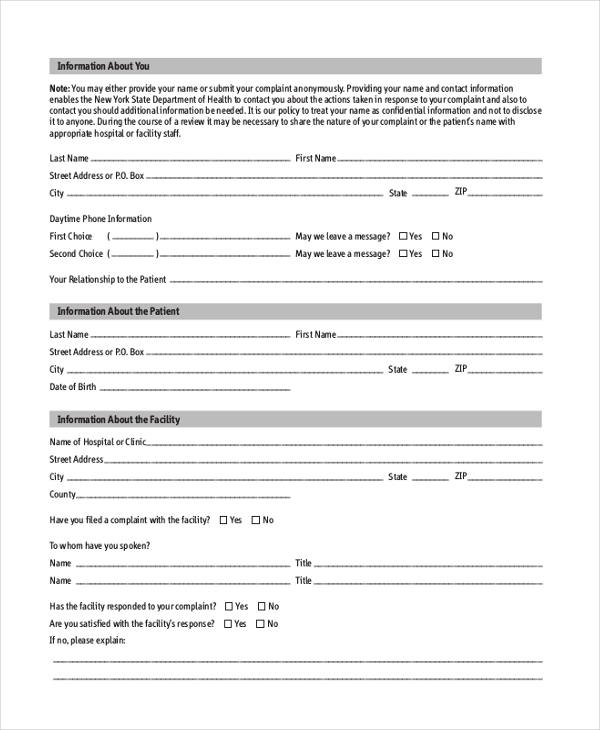 Whenever a patient wishes to complain about a health facility or a hospital to the medical council, he is required to fill this form. The form comprises of important segments that make it easier for him to file a complaint. Whenever a patient feels that the doctor or the hospital treating him have not been compliant to the HIPAA terms, he can go ahead and file a complaint. In such scenarios using this forms make it easier for the authorities to take action quickly. 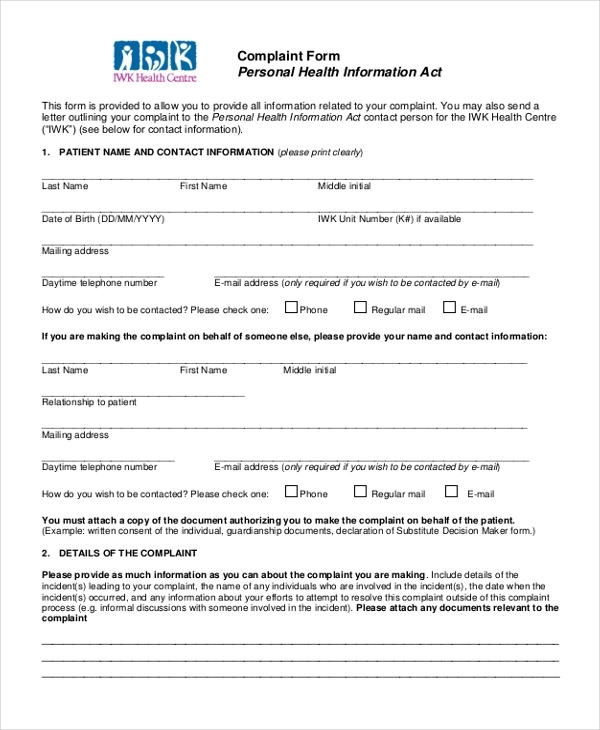 Whenever a patient feels that the doctor treating him has given out personal information about his health to unconcerned parties, he can use this form to file a complaint with the medical authorities. Who should Use a Patient Complaint Form? As is quite evident from the name, a patient complaint form helps a person to file a complaint against a medical personnel or a health facility in a structured manner. 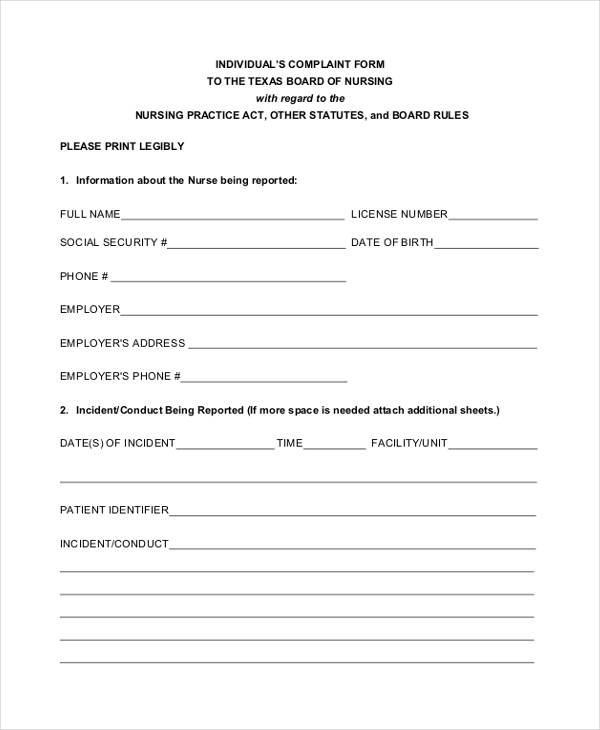 Hence any organization or person who works in tandem with or for the betterment of the patient should use this form. 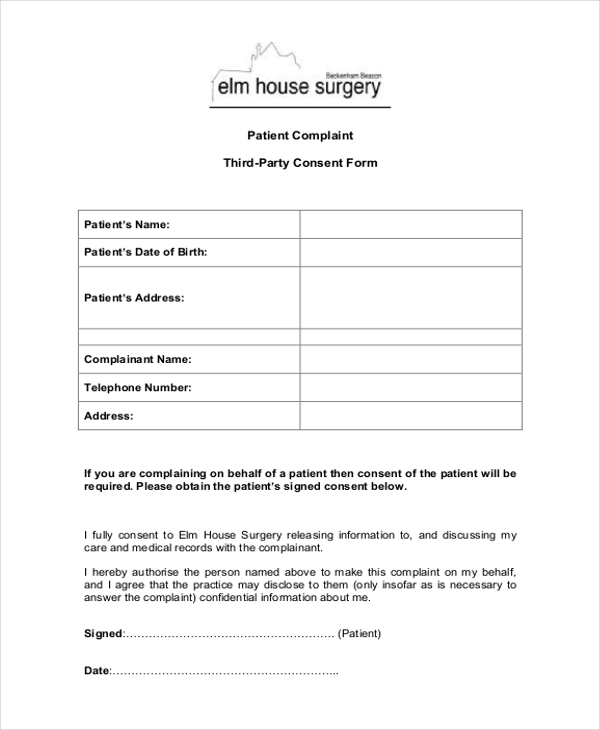 can use this form to ensure that any problems or concerns of their patients are immediately dealt with. may use this form to ensure that a patient or his family can conveniently register a complaint with them for immediate action to be taken. What are the Benefits of Using a Patient Complaint Form? Hospital authorities and medical councils deal with a lot of paper work, day in and day out. Thus, a mundane piece of paper with a written complain may miss the eyes of the person concerned. However, when the complaint is made using a complaint form, the person knows what to expect and is urged to take an immediate step to rectify it. 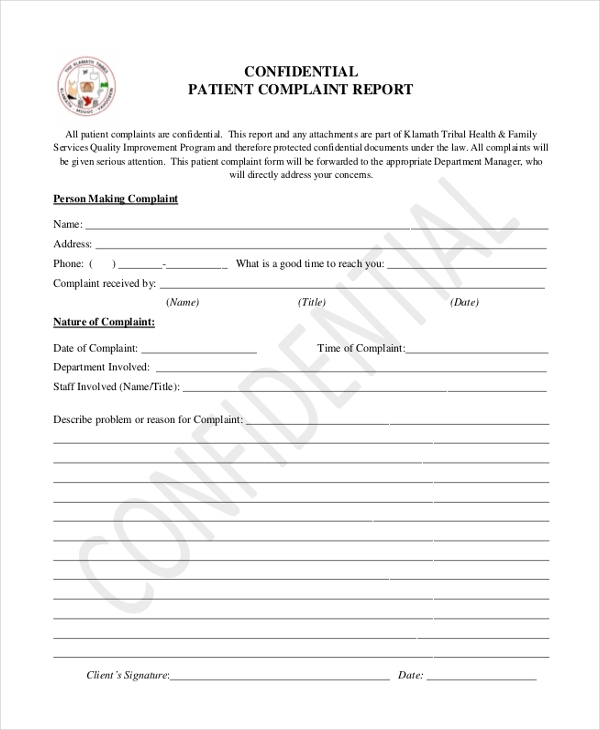 A patient complaint form comprises of various important segments that urges the patient to give out all the necessary information to make the complaint valid which may not be the case if the patient writes a complaint and submits it. What are Important Segments to be Included in a Patient Complaint Form? A patient complaint form can be efficient enough only if contains important segments that get the details of the concerns a patient have. If you think that designing such a form can be quite a task, go ahead and download one. You will find a wide range of professionally designed patient complaint forms online. These forms can be easily customized and are print ready.